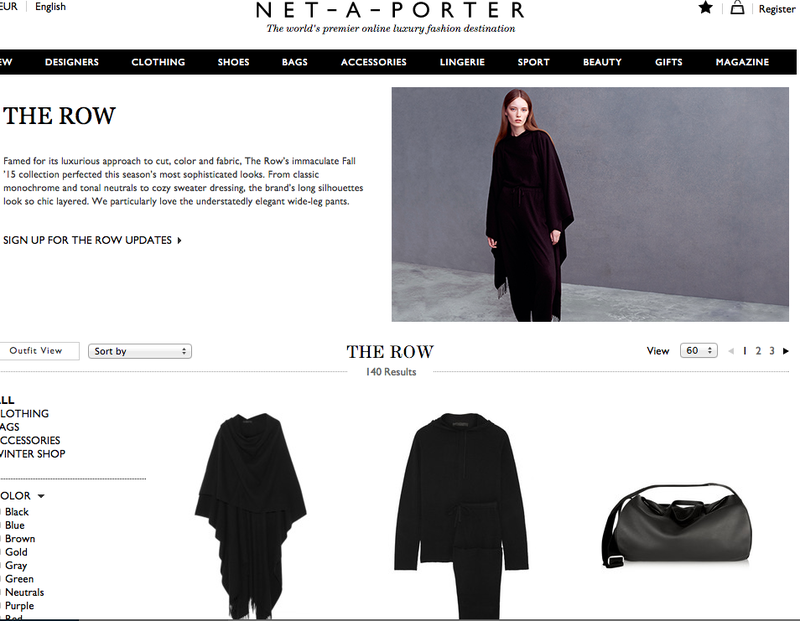 Attention, jetsetters and Olsen superfans: Net-A-Porter has launched a travel capsule collection with The Row. Mary-Kate and Ashley‘s chic label has created a trio of items—a long fringed cape ($3,190), a black superfine cashmere travel suit ($2,640), and a black calfskin weekender bag ($4,300)—that will appeal to deep-pocketed luxe-lovers everywhere. Hey, the entire set is likely less cher than the cost of a first class ticket to Roissy. “The Row has become synonymous for its extraordinarily sublime quality of fabrics and understanding of true luxury in an intelligent way,” said Sarah Rutson, vice president of global buying for Net-A-Porter. “Their designs make up the backbone of a modern woman’s wardrobe that transcends seasons and trends and has become the forever go-to pieces no matter what your lifestyle is.” This is yet another exclusive score for Net-A-Porter—the brand exclusively launched Tom Ford ready-to-wear online for women in July and men in September, and was also the first to sell current season Chanel jewelry through an online pop-up in April.